New Delhi: After almost a week of respite, Thursday was hot and sunny in the national capital as the mercury rose to a maximum of 40 degrees Celsius, the weather office said. While this is the fist time this season that the temperature has climbed to 40 degrees Celsius, Thursday was also the hottest 'April 13' of the past five years. Some areas of Delhi were even hotter than the average maximum for the city, according to the Met Office here. The minimum temperature on Thursday, however, was a pleasant 19.9 degrees Celsius, a notch below the season's average. According to Skymet, a private weather forecaster, Palam area in Delhi on Wednesday sizzled at 40.9 degrees Celsius -- a good four degrees hotter than what is the average of the season in the city. According to the India Meteorological Department, however, the maximum temperature in the capital was only 37 degrees Celsius and the minimum 20.5 degrees. "Delhi will get hotter in the days to come. 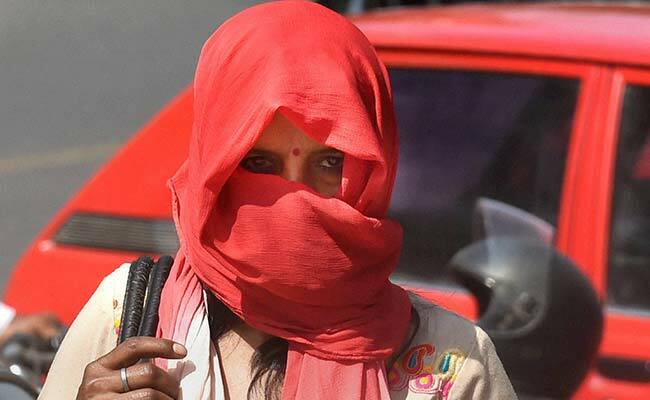 By next week, Delhi would sizzle at 41 degrees Celsius," said an India Meteorological Department (IMD) official. The maximum temperature on this day in 2016 was 35 degrees Celsius. On April 13 in 2015, it was 29 degrees; 37 degrees Celsius in 2014, 36 degrees Celsius in 2013, and in 2012, it was 35 degrees Celsius.